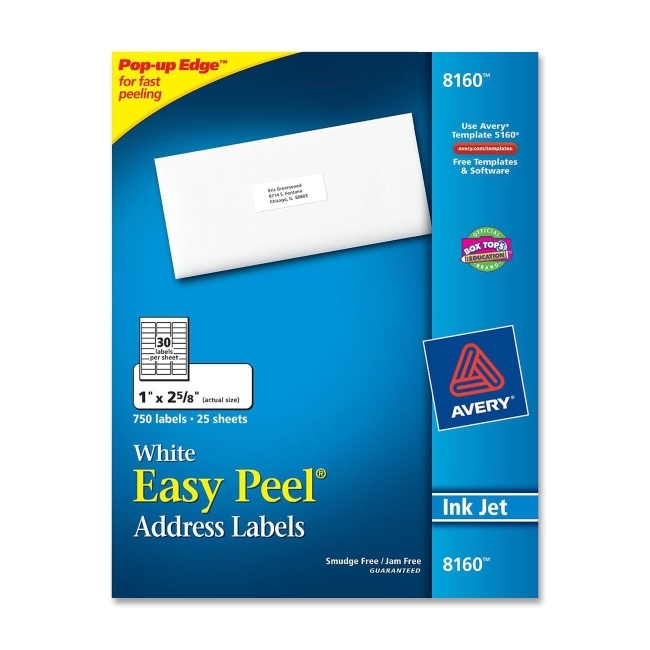 Avery Easy Peel Address Labels White 750 per Pack 1" Width x 2.62"
Create professional-looking labels quickly with Easy Peel Address Labels. For fast peeling, bend the label sheets to expose the Pop-up Edge. Bright white labels have permanent adhesive and are jam-free and smudge-free. Perfect for creating labels for addressing and shipping. 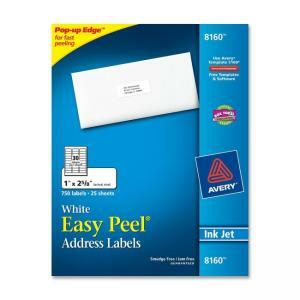 Perforated letter-size sheets tear so the edge of each self-adhesive label hangs over the sheet backing for easy access. Labels are compatible with inkjet printers. Avery offers many easy-to-use templates for Microsoft Word and other popular software programs.